The Madhya Pradesh Pre Polytechnic Test 2018 is a exam for those candidates who want to take admission into polytechnic colleges in MP state. If you want to take polytechnic diploma with reputed MP polytechnic institutes than you have to qualify MP PPT 2018. The MP PPT conducted by vyapam exam board. All the information regarding MPPPT available at official vyapam website. With the help of MP PPT 2018 you will get the admission into various government polytechnic colleges, state self-governing polytechnic colleges, self-governing and government women polytechnics and state funded polytechnic colleges. 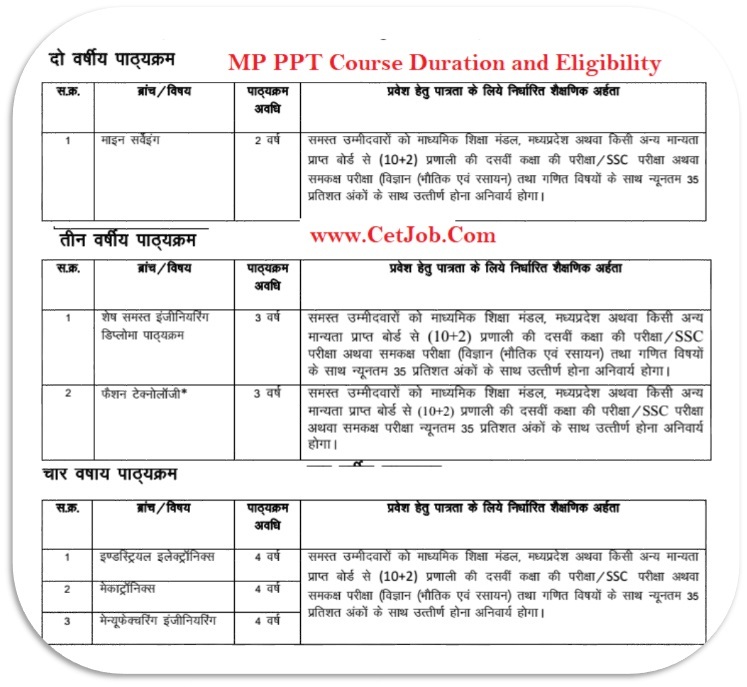 MPPPT Application form 2018 : The MP PPT application form 2018 available at www.mponline.gov.in , www.vyapam.nic.in. If you want to fill MP PPT form than first you have to login mponline website and fill all necessary information with scanned documents. Most probably the MP PPT application form available on the month of March 2018. The MP PPT application fee is ~ 200/- for reserved category and 400/- for unreserved category candidates. MPPPT Eligibility 2018 : If you want to apply for MP PPT 2018 than you have to fulfill MP PPT Eligibility. 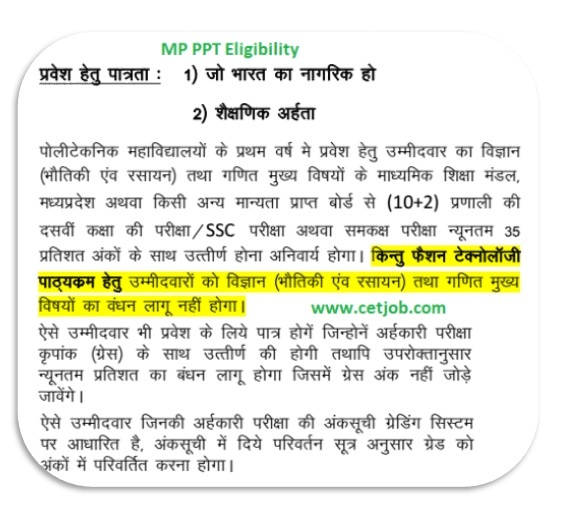 If you having the passing certificate of 10th examinations or intermediate examination from a government recognized board with minimum of 35% of marks, will be eligible to apply for the MP PPT Test. Candidates also have to complete 17 years age for MP PPT test. 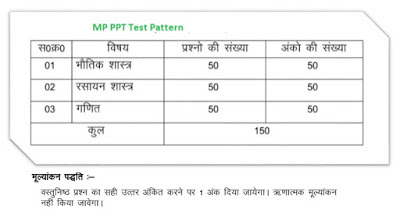 MPPPT Exam Types 2018 : In the MP PPT exam; there are 3 subjects asked by MP PPT exam board i.e. Maths , Physics and Chemistry. The MP PPT exam consists 150 MCQ from all 3 subjects and total time duration of MP PPT exam is 3 Hours. MPPPT Syllabus 2018: Before the MP PPT exam all candidates wants to secure good marks in the MP PPT exam for the admission into MP Polytechnic colleges. 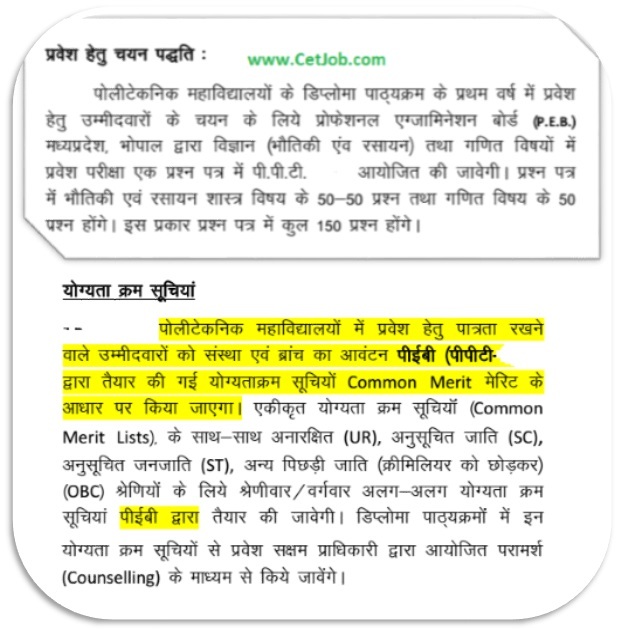 In the MP PPT exam there are 3 compulsory papers asked by exam board i.e Maths Physics and Chemistry. Before appearing in the MP PPT all candidates want to download MPPPT syllabus 2018. With the help of below links you will get MP PPT Syllabus. 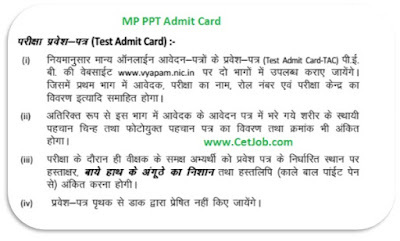 MPPPT Admit Card 2018 : As we know that the MP PPT exam held on June 2018; before the exam all candidates must have to download MP PPT Admit card 2018. Because MP PPT admit card contain all necessary information like MP PPT roll number, MP PPT test center name and Address, MP PPT exam instructions etc. MP PPT Answer Key 2018: After the MP PPT exam all aspirants will very eager to know how was their papers and they also cross check their answer form MP PPT answer key 2018. 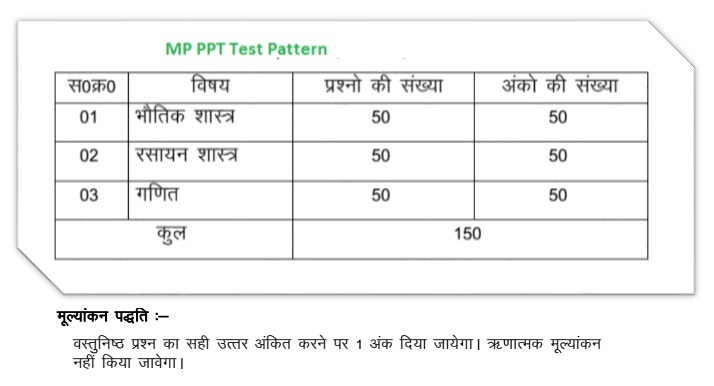 The MP PPT answer key available at vyapam portal after exam. MPPPT Counseling 2018 : After disclosing the MP PPT Results 2018; the MPPPT exam board announced the MP PPT counseling schedule on website. Most probably the MP PPT counseling starts form July - August 2018. At the time of counseling all MP PPT qualified candidates keep original and Xerox copy of all necessary documents and go to MP Help centers for documents verification and now they will participate into MP PPT counseling 2018.